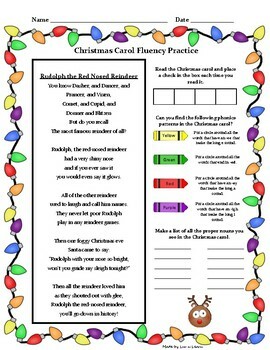 This bundle includes 7 Christmas carols that allow students to practice reading fluency through familiar Christmas songs. 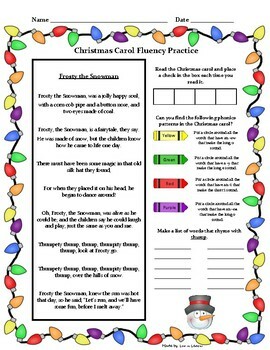 For each Christmas carol students are given an opportunity to identify phonics patterns in the song. 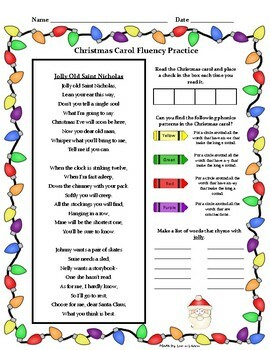 These fluency activities can be used as whole group, buddy reading and/or independent practice. 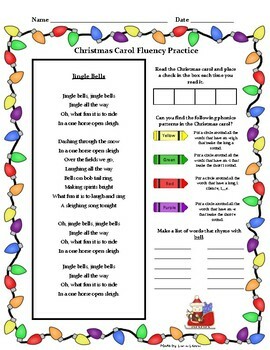 The Christmas carols included in this bundle are: Frosty the Snowman, Jingle Bells, Rudolf the Red Nosed Reindeer, Jolly Old Saint Nicholas, Santa Claus is Coming to Town, Winter Wonderland and Up on the Housetop.